At long last, the schedule of panels has been released for New York Comic Con. Of the hundreds occurring over the four-day weekend convention, we have big stars, new shows, industry spotlights, and even a bunch on social justice topics. I’ve gone through every single panel and picked out all of the ones I am interested in attending. At 11:15 AM there is a panel on Geek Journalism. Sounds perfect for me, right? It does look like it’s going to be a bit more about the news so it may not be quite up my street. It’s also really early in the first day of the convention, so I could easily get overwhelmed and wrapped up on the show floor and forget all about it. Later in the afternoon, there is a Funimation panel which could be cool. After that is a BookTube which would be great since I’m looking to get into book reviews soon. Buuuuut it’s at the same time as the Power Rangers panel so there’s that. BOOM! Comics, the publisher of the awesome Power Rangers books, seems to be running the panel. David Yost (Billy) and Walter Jones (Zack) have been announced as guests so far so even though it appears to be mostly about the comics it also claims to be celebrating the 25th anniversary and promises some announcements. I don’t expect much in relation to show and certainly nothing about the movie. It will still probably be a great time and while I really like books I love Power Rangers more. This is my #1 must-see panel. I’ll probably miss Funimation too since you really gotta line up early to get into most big panels. BOOM! has a panel of their own after the Power Rangers one. BOOM! does a variety of cool stuff. They have all kinds of indie comics and a bunch of licenses. I haven’t read their Steven Universe stuff yet but damn do I want to! They say they have something for everyone, so I hope I can walk out of there interested in some new books. Here’s where things get crazy. There’s a Pacific Rim panel at noon. If I’m going to see any big corporate blockbuster panels, that’s gonna be the one. It’s at the same time as the Hey Arnold! panel about The Jungle Movie, which could be a lot of fun too. Here’s the deal: they’re both in different buildings where seating is first come, first serve. So not only do you gotta line up early, you gotta line up early outside and some of them apparently have weird bag check policies where they make you throw out food, sealed water bottles, even umbrellas! I’d love to see both panels, Pacific Rim more than Hey Arnold!, but I’m not sure I want to spend the entire Friday morning standing in the cold to maybe get a seat. Back in the actual convention center, there are two Marvel Legacy panels. There is a general one on Thursday that will probably be a general overview, with specific panels for their biggest sub-franchises. 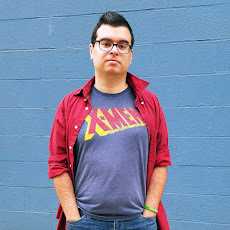 Marvel Legacy is being compared to DC’s Rebirth that excised the New 52, with plans to bring back classic characters like Peter Parker and Thor while also keeping the next generation like Miles Morales around. Spider-Man and X-Men are on Friday. I don’t know much about Legacy except Rhodey’s War Machine suit is apparently getting passed down to The Punisher. So I’m excited to see where the universe goes from here. Two panels are happening at the exact same time, right after Spider-Man but with enough time to line up for X-Men. Lumberjanes is a comic I recently just go into, it’s about a bunch of girl scouts who fight demons and such, and it’s kinda my new obsession. Akira Himekawa is the pen name for the duo that produces the Legend of Zelda manga. I reviewed their adaptation of Four Swords and absolutely loved it. These two are kind of a coin toss situation for me, but also a riskier choice since they’re right between two panels I’m way more interested in. Dark Horse and Nickelodeon are running a panel on the Avatar and Legend of Korra comics. I have an 8-hour bus and the ability to rent digital comics from my library, so I may finally give those a look. There’s also a trivia contest in the panel, so that’s neat. There’s an Archer panel in one of the off-site buildings I’d have to line up outside to attend. It’s all about the upcoming season so I may not bother, as I haven’t seen the most recent season as of this writing. The only panel of interest in Sunday is The Gifted on the main stage, so it’ll be a big spectacle kinda show. The series premieres the week before the con so it’s not like they can surprise us with the pilot. Regardless, it starts at the same time as my bus leaves, so that’s straight up out of the question. I obviously can’t attend them all and will probably get caught up at the con and miss the ones I planned to attend and randomly walk into some I hadn’t even thought of. But this is the tentative plan, totally subject to change. New York Comic Con is a month away and I can’t wait! 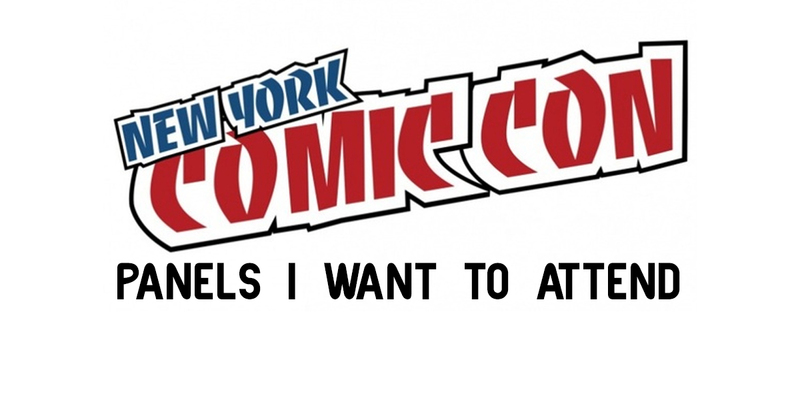 Are you attending NYCC? What panels are you planning to attend? If you’re not going, let me know what panels you think I should check out.